As I have already explored in the essay “The Red Book and the Red Book: Jung, Tolkien, and the Convergence of Images,” C.G. Jung and J.R.R. 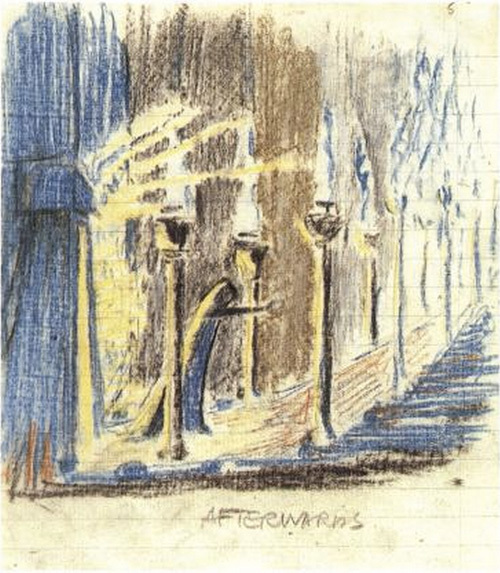 Tolkien simultaneously underwent profound experiences of the imaginal realm, transformative encounters with the deep psyche that became the prima materia for their lifeworks. While I have previously analyzed the synchronicity of the two Red Books through the parallel images, symbols, and stories brought forward by each of their authors, I have not delved too far into the significance of their synchronic timing. 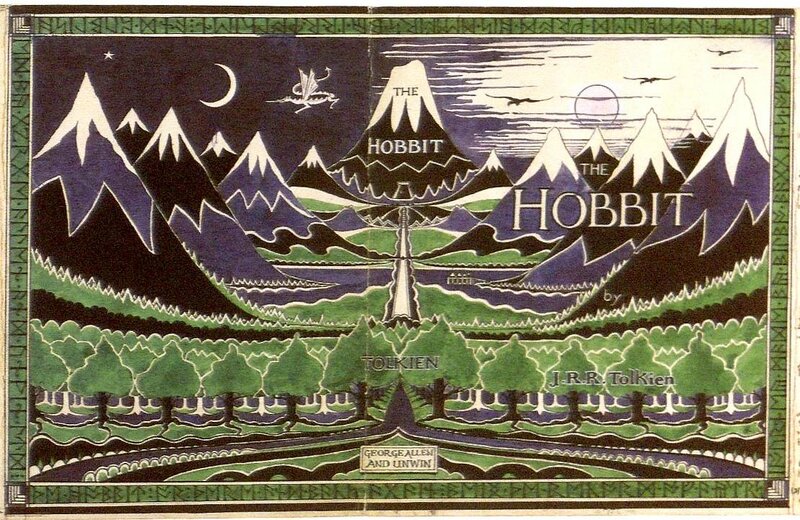 Jung’s and Tolkien’s deep imaginal experiences both began around 1913 and continued until the end of that decade, although the particular vein of creativity set in motion during that time lasted for each of them until the close of the 1920s. 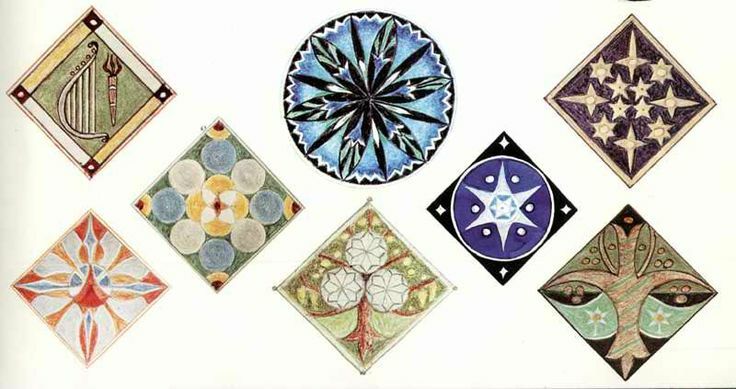 The primary experiences of active imagination for Jung were from 1913 to 1917, but his Red Book period is considered to have lasted until 1930, when he left off inscribing and illustrating his imaginal encounters onto the pages of the Liber Novus. 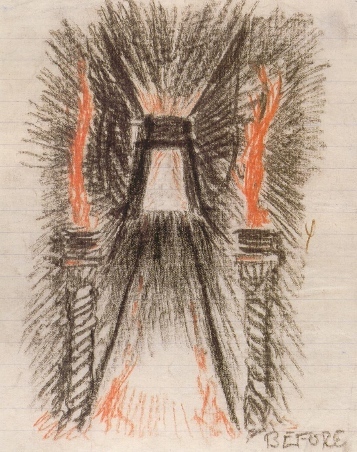 Nearly simultaneously, from 1912 to 1928, Tolkien was illustrating The Book of Ishness, his sketchbook that contained a series of visionary drawings and paintings. The early years of this project were the most abundant, but he continued intermittently to add fantastical images until the end of the 1920s. Meanwhile during the heart of those years, from 1916 to 1925, Tolkien was primarily dedicated to the composition of his mythology, the great cosmogonic cycles that narrate the creation of Arda and the First Age of the world. Why is the synchronic timing of Jung’s and Tolkien’s imaginal experiences important? Is it simply another coincidence? Or does it intimate some deeper, more profound implication concerning the nature of human existence in the cosmos? One hermeneutic method of unpacking the significance of this timing is archetypal astrology, which reveals the underlying archetypal patterns of the times through the correlated positions of the planets. When two or more planets come into geometrical alignment, the correlated archetypal energies can be seen unfolding multivalently in human and worldly events for the duration of the alignment. When the slower-moving outer planets of Saturn, Uranus, Neptune, and Pluto align with each other, whole epochs of history, lasting years to decades depending on the configuration, reflect the relevant archetypal qualities in myriad ways. Archetypal astrology provides a lens that can shed new light on our understanding of Jung’s and Tolkien’s experiences during this time period. 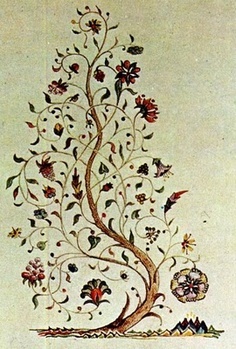 By looking at the world transits during the years of their imaginal encounters we will be able to see the larger archetypal gestalt in which these experiences were emerging, while touching on Jung’s and Tolkien’s natal charts will illuminate the archetypal patterning of their individual psyches and how this may have further shaped the character of their experiences. Furthermore, we will look at the unfolding personal transits Tolkien and Jung underwent during their Red Book periods, honing in on several significant dates throughout this time, to see how the same world transits interacted with their unique birth charts, indicating differing modes of creative expression for the same archetypal energies. The first couple of decades of the twentieth century, when the Uranus-Neptune opposition was in effect, was a period of tremendous cultural and artistic innovation and creativity. 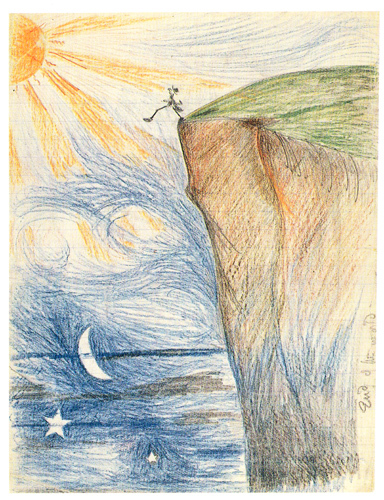 As Sonu Shamdasani, the editor of The Red Book, writes, “On all sides, individuals were searching for new forms with which to depict the actualities of inner experience, in a quest for spiritual and cultural renewal.” Jung’s and Tolkien’s unexpected awakenings to active imagination and fantasy, and their subsequent outpourings of creative genius, perfectly exemplify the characteristic manifestations of Uranus-Neptune alignments. In Jung’s words, “Our age is seeking a new spring of life. I found one and drank of it and the water tasted good.” His use here of liquid metaphors and symbols—spring, drank, water—are particularly characteristic of the Neptune archetype. Uranus-Neptune alignments also correlate with “cosmic epiphany” and the “birth of new forms of artistic expression,” which can be seen in the unique artistic format of Jung’s Red Book, and the new languages and mythological composition of Tolkien’s cosmogonic cycles. 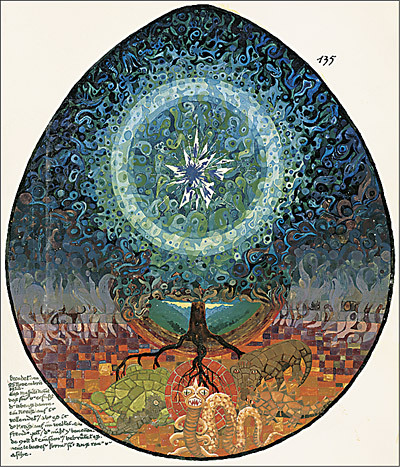 Although human beings have fallen, in Tolkien’s view, and become estranged from the divine imagination by the emergence of disenchanted rationality, we are still able to become alchemical vessels for that sacred creativity, to refract the light of the mythopoeic imagination into our own fantasies and imaginal encounters. During the primary visionary years of Jung’s Red Book period, the previously discussed Uranus-Neptune world transit was crossing his natal Sun-Neptune square (see Figure 1). In an individual’s birth chart, the Sun is an expression of the personal identity, the autonomous self imbued with conscious awareness, the personality and ego identity, the will to be and to exist, as well as what the individual identifies him or herself to be. 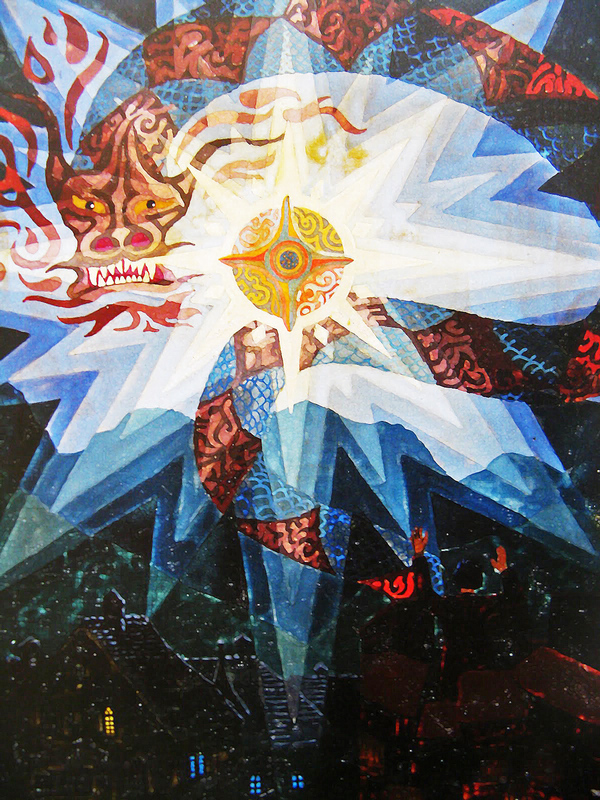 Jung’s Sun square Neptune can be seen multivalently expressed throughout his life, for example, in his personal exploration of the archetypal realm, his permeability of identity to the imaginal and spiritual, his later understanding of the Self as an archetype, and his lifelong effort to bring individual consciousness and the archetypal unconscious into fruitful relationship. 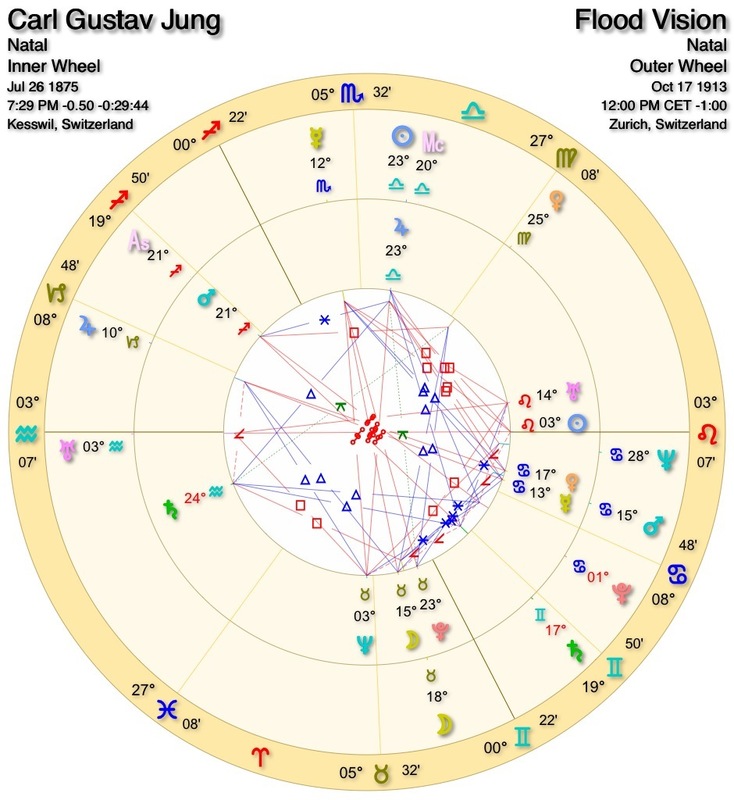 At the time Jung’s imaginal experiences began, the Uranus-Neptune opposition of the early twentieth century was crossing not only his natal Sun-Neptune, but the Ascendant-Descendent axis of his chart, the horizon of his birth moment, initiating both a dissolution and liberation of his identity (see Figure 2). The Uranus-Neptune transit was activating and awakening Jung to the eternal vastness of the archetypal realm, drawing forward encounters with imaginal figures who confronted his personal assumptions about the nature of spiritual reality and the psyche, leading to a descent and dissolution of his Solar egoic identity in an encounter with his soul. 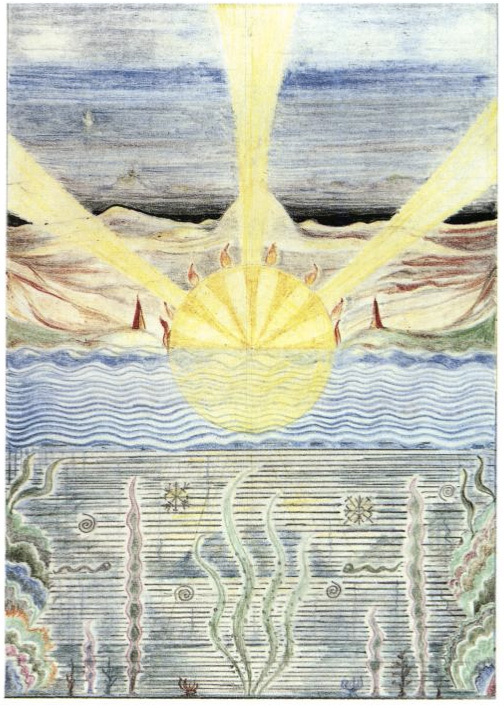 The same Uranus-Neptune opposition was also shaping the archetypal atmosphere of Tolkien’s imaginal encounters, but the transit was crossing a different part of his chart, and thus manifesting in a realm other than his Solar identity. When Tolkien wrote the first words of his Middle-Earth mythology in September 1914 the Uranus-Neptune opposition was crossing his natal Venus, whose corresponding archetype relates to art, beauty, artistic creativity, and aesthetic expression (see Figure 3). Because at this time Uranus and Neptune were widening in their orb, now ten degrees apart, Uranus was tightly conjunct Tolkien’s Venus, while Neptune had yet to come into potently effective orb with his Venus. However, over the next several years, from 1916 to 1922, when Tolkien’s mythology was pouring forth from a seeming wellspring of imaginative creativity, Neptune was in tighter opposition to his natal Venus. 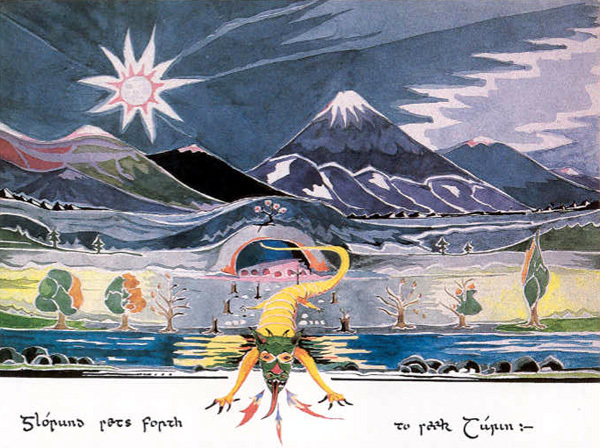 That the Uranus-Neptune opposition crossed Tolkien’s Venus, rather than the Sun as it did for Jung, is reflected in his chosen form of expression for the emerging material: Tolkien channeled the stream of imaginal energy into the artistic form of mythopoeic narrative, rather than using the experiences as tools to explore his own psyche and personal identity as Jung did. 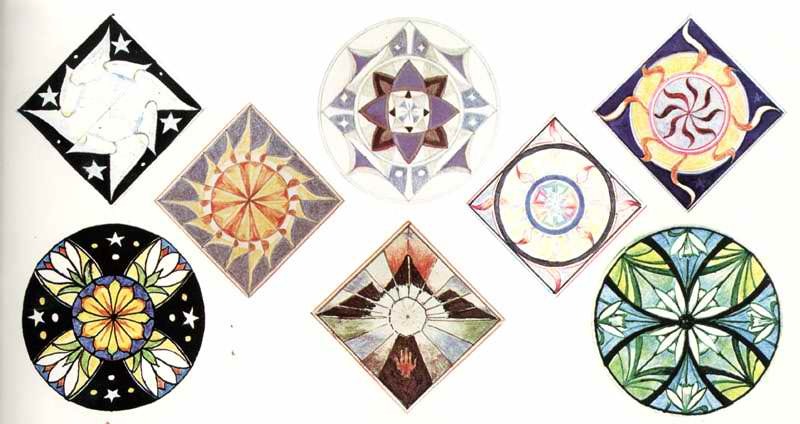 Interestingly, after 1915 all of Tolkien’s works of art were illustrations for his stories, unlike the earliest visionary drawings in The Book of Ishness which have no explanation for their origins other than their titles. Other powerful forces were coming through for Tolkien in those early years of creativity which we will explore later in this essay, but it seems that only once Uranus and Neptune activated his natal Venus did he find his preferred artistic outlet for the imaginal visions he was receiving. 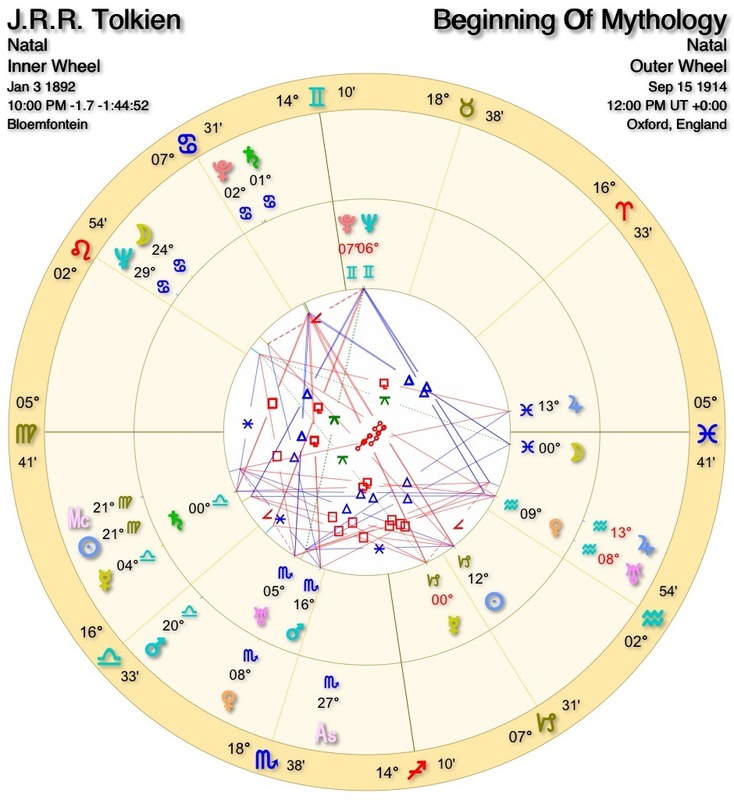 While the long Uranus-Neptune transit crossing Jung’s Sun and Tolkien’s Venus reflect the larger gestalt of the experiences they were each undergoing, a deeper look at their individual transits will reveal the nuanced differences in their experiences and their individual expressions of those encounters. While the larger arc of this project is to show the uncanny convergence of Jung’s and Tolkien’s explorations of the imaginal realm, the current analysis of their divergence will help to unveil the cosmic underpinnings of their unique creative expressions. A repeated vision shared in different manifestations by Jung and Tolkien was that of a Flood, or the Great Wave as Tolkien called it. While we know that Tolkien’s Great Wave visions came to him throughout his life beginning in childhood, primarily as dreams, we do not have specific dates for their occurrence. However, Jung’s first Flood vision took place on October 17, 1913 while on a train journey. He saw an immense flood that engulfed all the lands of Europe, destroying civilization and carrying floating rubble and corpses in its wake. The waters then turned to blood. Two weeks later he had the vision again; eventually he would come to recognize it as a premonition of the coming First World War. Less than a year after Jung’s Flood vision, World War I broke out in Europe when the Saturn-Pluto conjunction was in almost exact alignment. Yet during the previous autumn of 1913, Jung had been granted a painful premonition of that war as the wide Saturn-Pluto conjunction was in opposition to his natal Mars, the archetype of the warrior, of battle, anger, and violence (see Figure 4). Jung’s vision contained the combined Mars-Saturn-Pluto themes in the images of mass destruction and violent death, and the bloody wave of battle engulfing the continent. Yet the experience was also a precognitive visionary awakening reflective of the Uranus-Neptune alignment previously explored. 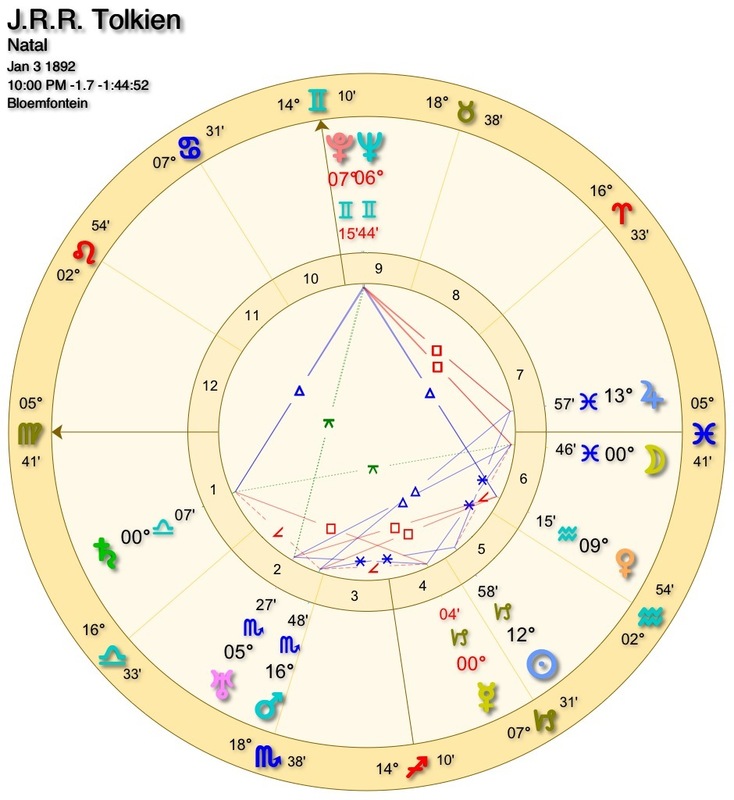 The same Saturn-Pluto conjunction that corresponded with Jung’s Flood vision and World War I was also transiting Tolkien’s chart, but in his case it was opposing his natal Mercury. The archetype of Mercury relates to language, speech, thought, writing, the intellect, education, and all forms of communication. Tolkien’s greatest love, it might be argued, was for languages, for their phonetic sound and resonant meaning, their evolutions and transformations, and their histories and lineages. Tolkien was born with his natal Mercury in an exact square to Saturn, which can be seen in his appreciation for ancient languages and literature (he disliked nearly all literature written after Chaucer, instead dedicating himself to medieval epics like Beowulf and the Norse and Icelandic sagas such as the Elder Edda), his meticulous attention to the details of language and expression, his painstaking and repeated revisions of all his manuscripts striving for an unattainable level of perfection, and his habit of what he called “niggling” over the finesses of his invented languages (see Figure 5). As Tolkien’s biographer Humphrey Carpenter writes, “Tolkien had a passion for perfection in written work of any kind, whether it be philology or stories. This grew from his emotional commitment to his work, which did not permit him to treat it in any manner other than the deeply serious.” All this eloquently expresses the Saturn archetype of seriousness, the old and the ancient, precision, strict standards, revision and correction, meticulous attention to details, all in relation to Mercury’s realm of language and writing. Pluto slowly transited Tolkien’s natal Mercury-Saturn from 1909 to 1919, the years which encompassed his education at Oxford in Philology, his deeply painful separation from the love of his life Edith Bratt (who later became his wife), the visionary drawings in The Book of Ishness, the composition of his first Middle-Earth poem The Voyage of Earendel, his fighting in World War I including in the Battle of the Somme, the deaths of two of his closest friends, and the earliest compositions of The Silmarillion stories including the cosmogonic myth called the Ainulindalë. As Saturn conjoined Pluto in the sky leading up to World War I, the powerful transformational energies associated with Pluto that had already been working on Tolkien’s mind found a Saturnian form and structure in his invention of languages and the creation of myths to accompany them. 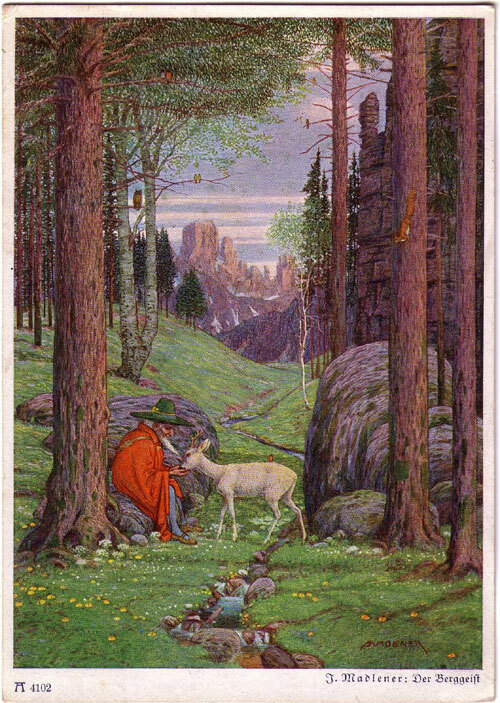 If anything truly sets Tolkien apart in the realm of fiction authors it is that he developed multiple, fully-fledged imaginal languages with their own syntax and etymology, languages that feel ancient and powerful in tone and character, with grammatical structures that trace their linguistic evolution through time—all Mercury-Saturn-Pluto themes. During these years it was as though his linguistic capabilities had been opened to the evolutionary stream of language itself, and he was able to participate in the generation and rebirth of new linguistic structures. Interestingly, coming out of the ten-year transit of Pluto across Tolkien’s Mercury, Pluto then began to oppose Tolkien’s natal Sun, a transit that lasted until the end of the 1920s as he continued to compose the cycles of the First Age of Middle-Earth. Thus, the nearly twenty-year transit of Pluto across his wide Sun-Mercury conjunction entirely encompassed the years Tolkien was writing the myths of The Silmarillion. 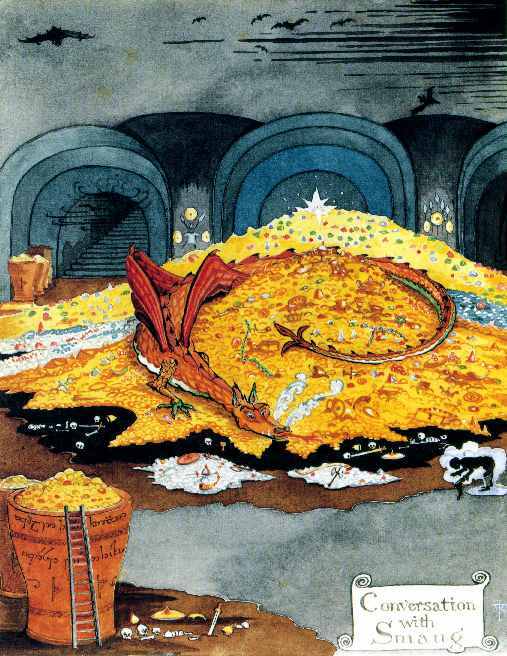 This was the time period when Tolkien was having the powerful visionary experiences that became the prima materia of his later, more refined works: The Red Book of Westmarch, known better as The Hobbit and The Lord of the Rings. 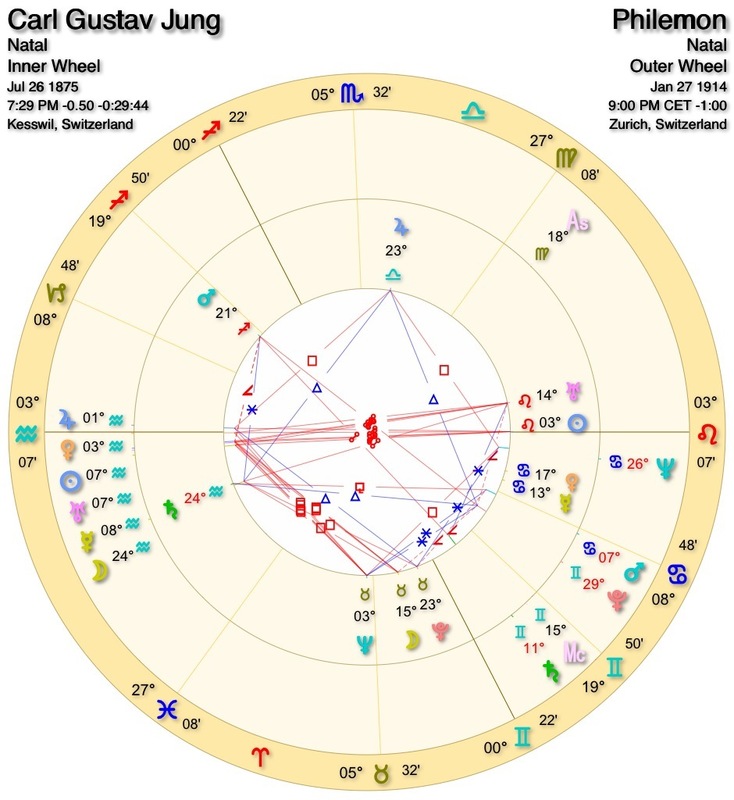 To return to that pivotal moment in the late summer of 1914, when Saturn was conjunct Pluto and the destructive wave of the First World War had been unleashed across the continent of Europe, another potent transit was in the sky, also activating significant aspects of both Tolkien’s and Jung’s charts. At that time the planet Jupiter had come into the Uranus-Neptune alignment, making a conjunction with Uranus that lasted from December 1913 to January 1915. Archetypally, Jupiter is associated with “the principle of expansion and magnitude, providence and plenitude, liberality, elevation and ascendency, and with the tendency to experience growth and progress, success, honor, good fortune, abundance, aggrandizement, prodigality, excess and inflation.” In time periods when Jupiter was aligned with Uranus, as Tarnas writes, “An expansively and buoyantly energizing quality characterized such eras, one that often engendered a certain creative brilliance and the excitement of experiencing suddenly expanded horizons.” As we examined earlier, at this time Uranus was opposing Jung’s Sun, while it was conjoining Tolkien’s Venus. Thus, when Jupiter entered the configuration the expansive, elevating, liberating, breakthrough qualities associated with the Jupiter-Uranus combination could be seen in the profound shift that took place for each of these men during this fourteen-month period. Under the Jupiter-Uranus conjunction transiting his Venus (see Figure 6), Tolkien encountered the names Earendel and Middle-Earth in the lines of an old Anglo-Saxon poem, both of which played profoundly prominent roles in his mythology. After this discovery, Tolkien composed on September 24, 1914 the poem The Voyage of Earendel the Evening Star, now recognized as the first written work in the Middle-Earth legendarium. Truly it was a breakthrough moment, as Tolkien was finding expression for the images and languages that had been coming to him for the last few years. After this point he began to write more stories about Middle-Earth and the peoples that inhabited this land, the Eldar, the many races of Elvenfolk living in the imaginal realm. 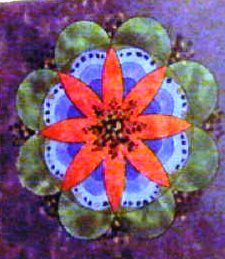 Coinciding with this same Jupiter-Uranus alignment, Jung’s Red Book visions were taking a profound turn. A new figure had entered into his imaginal experiences, a wise guide and teacher, one who instructed Jung in a caring, loving, and spiritually illuminating way. This figure was Philemon, the ancient alchemical wisdom-keeper who became Jung’s mentor in the realm of Soul. In Shamdasani’s words, “To Jung, Philemon represented superior insight, and was like a guru to him.” On the day that Philemon was first recorded appearing, January 27, 1914, a remarkable configuration of planets was in the sky. Not only was Jupiter conjunct Uranus in opposition to Neptune as previously discussed, but the Sun, Moon, Mercury, and Venus were also conjoining the longer Jupiter-Uranus conjunction (see Figure 7). 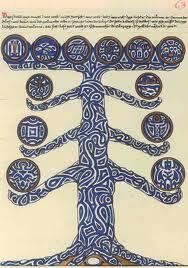 This rare and powerful configuration was all crossing Jung’s natal Sun. Not only did this event occur at the new moon, when the Moon conjoins the Sun in a coniunctio of yin and yang energies, but the emergence of Philemon brought into Jung’s psyche a Solar figure representative of his higher self, or Self, whose teachings brought tremendous new insight and awakening, communicated with love, compassion, and wisdom. The transits on this day could be seen as the birth chart of Philemon, which itself would be a fruitful topic to explore in depth. 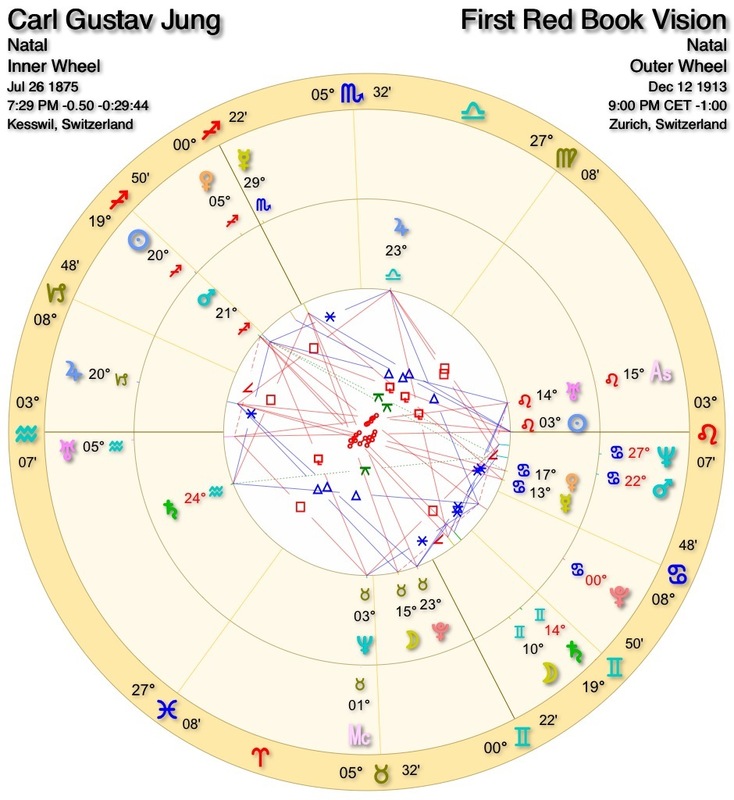 The most recent Neptune-Pluto conjunction took place from 1880 to 1905, and Jung was born on the cusp of the transit in 1875. 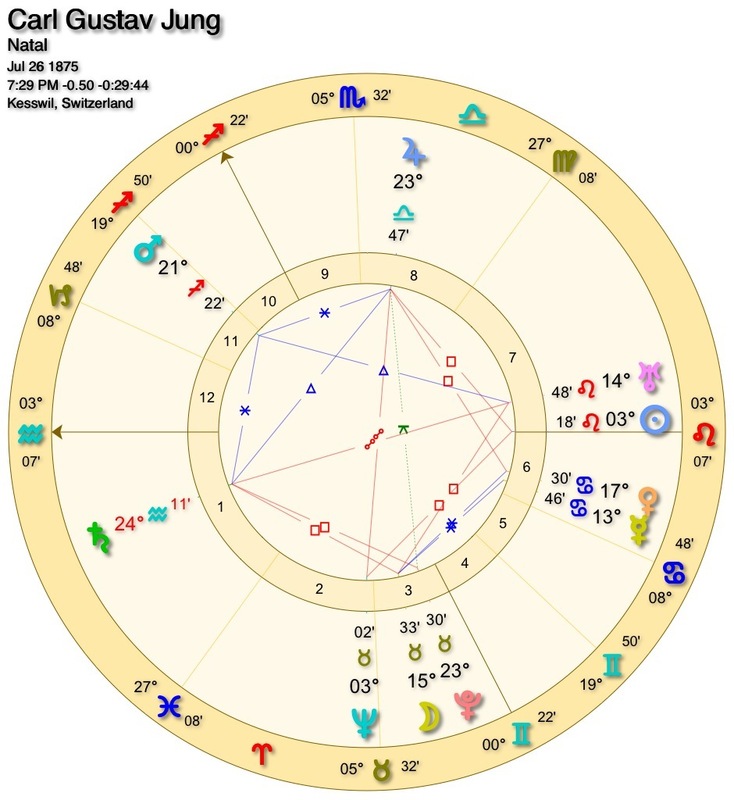 Jung lived the first thirty years of his life in Neptune-Pluto’s culturally transformative gestalt, while Tolkien was born in 1892 with the conjunction within 1° orb (see Figures 1 and 5). While a full study could be given to the ways just this single alignment is apparent in both Jung’s and Tolkien’s entire oeuvre, I want to particularly attend to how two specific themes of this most recent Neptune-Pluto conjunction came through Jung and Tolkien: these manifestations are, as Tarnas describes them, “the dying of the gods that had ruled the Western spirit for two millennia and more” and the simultaneous “powerful upsurge of ‘the unconscious’ in many senses.” The profound and transformative encounters with the deep psyche and imaginal realm that both Jung and Tolkien experienced in their lifetimes are highly reflective of the Neptune-Pluto conjunction they each carry. They both had an encounter of overwhelming potency with the collective unconscious by passing through the underworld gateway of imagination. The powerful visions of the Flood that initiated Jung’s descent, and Great Wave dreams that haunted Tolkien, are also clear expressions of Neptune-Pluto: consciousness being violently “flooded” by the unconscious with overwhelming images of decimating waters that destroy and subsume all in their path. Furthermore, the death and rebirth of God in Jung’s Red Book, and the rebirth of Creation and the fall from grace in Tolkien’s cosmogony are but a taste of the ways Neptune-Pluto manifested in their life works. In a time of disenchanted rational modernity these two men seem to have been chosen as alchemical vessels for a deep, cosmic truth to be reborn. As Jung wrote in the pages of The Red Book, “To give birth to the ancient in a new time is creation. . . . The task is to give birth to the old in a new time.” This is the karmic task both Jung and Tolkien carried in their own ways, to encounter the gods in the archetypal realm, and to express their living truths on the pages of imagination. Jung, C.G. Memories, Dreams, Reflections. Edited by Aniela Jaffé. Translated by Richard and Clara Winston. New York, NY: Vintage Books, 1989. Tolkien, J.R.R. “Mythopoeia.” In Tree and Leaf, New York, NY: Houghton Mifflin, 1988. C.G. 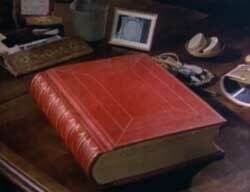 Jung, The Red Book: Liber Novus, ed. Sonu Shamdasani, trans. Mark Kyburz, et al. (New York, NY: W.W. Norton & Company, 2009), 239. Tarnas, Cosmos and Psyche, 93. Sonu Shamdasani, “Introduction,” in Jung, The Red Book, 194. Jung, The Red Book, 210. Tarnas, Cosmos and Psyche, 412. Shamdasani, “Introduction,” in Jung, The Red Book, 208. J.R.R. Tolkien, “Mythopoeia,” in Tree and Leaf (New York, NY: Houghton Mifflin, 1988). Jung, Memories, Dreams, Reflections, ed. 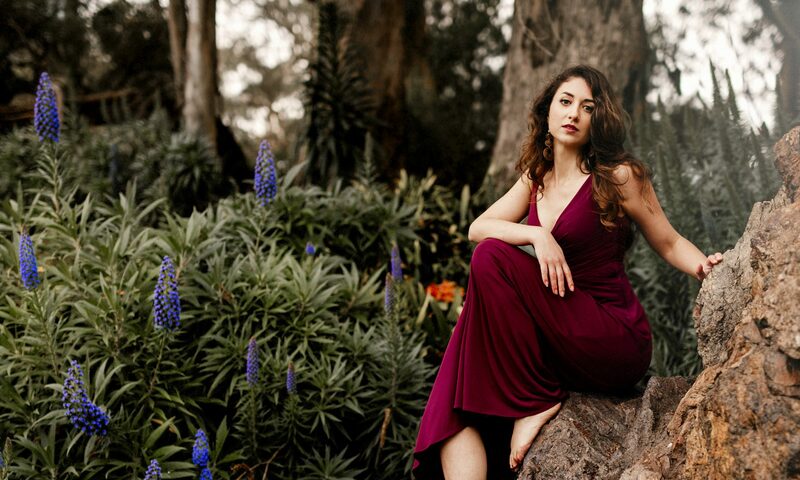 Aniela Jaffé, trans. Richard and Clara Winston (New York, NY: Vintage Books, 1989), 175. Humphrey Carpenter, J.R.R. Tolkien: A Biography (New York, NY: Houghton Mifflin Company, 2000), 142. Tarnas, Cosmos and Psyche, 294. Shamdasani, “Introduction,” in Jung, The Red Book, 201. Tarnas, Cosmos and Psyche, 417. Tarnas, Cosmos and Psyche, 418. The Oxford Inklings have long held a fascination for me—a group of great literary authors meeting weekly to share their poetry and fiction, and discuss their ideas and beliefs. A meeting of the minds who, at different points in their careers, produced The Lord of the Rings, The Chronicles of Narnia, Poetic Diction, The Place of the Lion, and multiple other works across a great range of genres and topics. How did these writers come to know each other? How much did they influence one another’s work? Such questions as these are addressed by Humphrey Carpenter in his biographical work The Inklings: C.S. Lewis, J.R.R. Tolkien, Charles Williams and Their Friends. In many ways, Carpenter’s The Inklings is primarily a biography of C.S. Lewis, with the lives of Tolkien, Williams, Owen Barfield and others woven in when their narrative threads cross paths with Lewis’s. 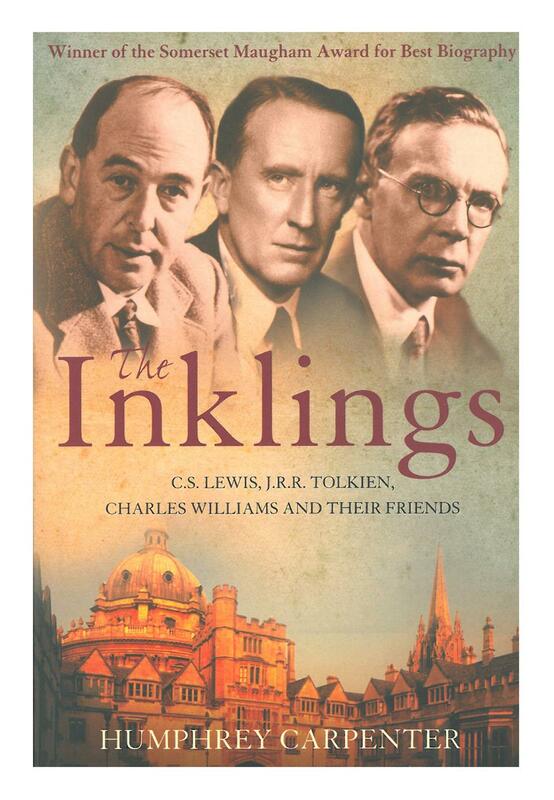 Yet this is perhaps an entirely appropriate approach considering the group that called themselves the Inklings ultimately orbited around Lewis—the meetings took place in his Magdalen rooms, and his friendship was what the members of the group held in common. Nonetheless, Carpenter’s weaving together of these many, and often disparate, biographical threads produces a compelling tapestry that displays a historical picture both complex and deep, inviting one into the nuanced differences of multiple intellectual and creative lives. Certain aspects of this interwoven narrative particularly shone forth for me, such as the descriptions of the shared feeling between Lewis and Tolkien when reading certain myths and stories of familiarity with the unfolding tale, a sense of longing and nostalgia as though one has somehow participated in this story before. It is a feeling with which I also am familiar, becoming apparent to me the first time I heard The Hobbit read aloud. Names such as Rivendell, Middle-Earth, and Dale, the songs and laughter of the Elves, all felt deeply familiar from the first time I heard them. Tolkien was able to imbue his own stories with that same essence that he and Lewis felt and found so richly compelling in the myths of Northern Europe. Tolkien and Lewis’s friendship could really be seen as the core of the Inklings, as it was they who were the most consistent members throughout the duration of the informal literary group. Another moment I found particularly touching and unique to their characters was when Lewis first critiqued a poem of Tolkien’s, but instead of simply writing a commentary in his own voice he rather chose to execute his narrative creativity by annotating the poem “as if it were a celebrated piece of ancient literature, already heavily studied by scholars with such names as ‘Pumpernickel,’ ‘Peabody,’ ‘Bentley,’ and ‘Schick;’ he alleged that any weaknesses in Tolkien’s verses were the result of scribal errors or corruptions in the manuscript.” Their creativity is coming through even in these most simple of interactions, giving the reader a greater sense of the imaginations able to access the worlds of Narnia and Middle-Earth. No, said Tolkien. They are not lies. 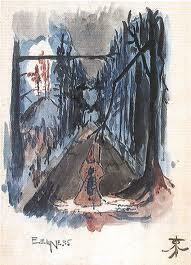 Tolkien goes on to illustrate his point with what surrounded them in that moment, the trees and night sky overhead. I find it significant that in this pivotal moment it is as though the world itself is speaking, to offer its subtle yet powerful evidence to the words Tolkien says. No, myths are not lies. They are all around us. The rush of wind, spiritus, makes its presence known. The men hold their breath, spiritus. Spirit is present. To you, a tree is simply a vegetable organism, and a star simply a ball of inanimate matter moving along a mathematical course. But the first men to talk of “trees” and “stars” saw things very differently. To them, the world was alive with mythological beings. They saw the stars as living silver, bursting into flame in answer to the eternal music. I would even alter Carpenter’s language further in keeping with what both Tolkien and Barfield understood. The stars were not “as living silver” they were living silver. Not only did the first humans to speak of trees and stars “see” them differently, they were different because they were in participatory relationship to these ancient people. Lewis’s conversion to Christianity came about later that night when Tolkien explained first that “not merely the abstract thoughts of man but also his imaginative inventions must originate with God, and must in consequence reflect something of eternal truth,” and then later not only is “the death and resurrection of Christ . . . the old ‘dying god’ story all over again,” but that “here is a real Dying God, with a precise location in history and definite historical consequences. The old myth has become fact.” Tolkien’s recourse to myth, first by showing the truth of it, and then by showing how myth entered history in the story of Christ, is what led to Lewis’s conversion, and hence to his many works of Christian apologetics and allegorical fantasy. He would treat someone’s personal worry with the same vitality that he showed in [his] lecture, the same grave courtesy and fiery vision; so that it was easy to go home feeling that this was what it would have been like to meet Dante himself, or Blake, or even Shakespeare. Williams seemed to be an immensely complex and nuanced figure, always holding in balance perspectives of light and shadow: “Behind every bad thing he could see something good, and also behind every good thing he could see darkness.” Furthermore, “He was able to embrace everything—belief and doubt, hope and disillusion, love and hatred—within the secure irony that he had developed.” Meeting Williams through biography first, rather than through his fiction, has left me simply with the wish that I might have met him. Carpenter’s biographical style flows best when he is able to paint a narrative picture, as though one were really present, for example, at a particular meeting of the Inklings. He does this in a chapter entitled “Thursday evenings,” in which he combines quotations from works and letters with multiple reports of what the evenings were like to give a fictional portrait of an Inklings gathering (he does this also in his book J.R.R. Tolkien: A Biography in which he narrates a sample day of Tolkien’s life in Oxford). The effect is absolutely enticing, making the reader feel almost as if they were there, and wish that to do so were really a possibility. Perhaps my most pervasive feeling as I read The Inklings was a continual desire to have been able to participate in this group, wondering what it may have been like to listen to the early chapters of The Lord of the Rings when it was still titled “The New Hobbit,” or to hear Barfield and Tolkien discuss language, or Lewis and Williams on poetry and theology. And this longing actually brought forward an unexpectedly painful realization as I continued to read about this group of writers, at least one of whom has fundamentally shaped who I am and how I think, feel, imagine, and engage creatively with the world. All of the Inklings were men, and a woman was never permitted to be present at a Thursday gathering, or invited to join in the conversation at the Bird and Baby pub on Tuesday mornings. I realized that at the table of my intellectual forebears I, as a woman, would not have been welcome. I do recognize that such sexist views are, in large part, a product of the time in which these men lived. Yet I also cannot help but feel their words with pain, and recognize the countless women whose voices have been silenced, again and again, by such mistaken and degrading beliefs. It is an injustice to recognize at once how much Tolkien and so many other male writers have shaped who I am through their words and imaginal creations, and then to know that they regarded “the female mind as inferior to the male.” If somehow I were able to go back through time and arrive at Lewis’s Magdalen door on a Thursday evening I would not have been permitted to cross the threshold because of my gender. There is some comfort to know that perhaps Williams might have made an argument for my entry if such a situation were to occur (and it would be far more likely to occur in the supernatural fluidity of space and time in Williams’ novels than elsewhere). Williams once said that it would be likely that “any principle of the relations of the sexes will be wrong, since there are, after all, no such things; there are an infinite number of women and an infinite number of men.” Williams, it seems, would have at least based his admission on individual merit rather than blind gender exclusion. Perhaps because of these statements from Lewis and Tolkien I was particularly delighted to meet on the page the woman who became Lewis’s wife later in his life, Joy Davidman. That such a woman came into his life and made the powerful impact she did felt long overdue as I was reaching the later pages of Carpenter’s book. But the role Joy Davidman played in Lewis’s life was indeed significant, and one that seemed to make a lasting imprint. Tolkien, J.R.R. The Tolkien Reader. New York, NY: Ballantine Publishing Group, 1966. J.R.R. Tolkien, qtd. in Humphrey Carpenter, The Inklings: C.S. Lewis, J.R.R. 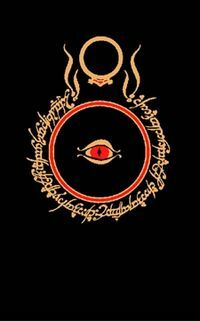 Tolkien, Charles Williams and Their Friends (London, England: HarperCollinsPublishers, 2006), 67. C.S. Lewis, qtd. in Carpenter, The Inklings, 40. C.S. Lewis, qtd. in Carpenter, The Inklings, 164. J.R.R. Tolkien, qtd. in Carpenter, The Inklings, 169. C.S. Lewis qtd. in Carpenter, The Inklings, 237. J.R.R. Tolkien, “On Fairy Stories,” in The Tolkien Reader (New York, NY: Ballantine Publishing Group, 1966), 64. 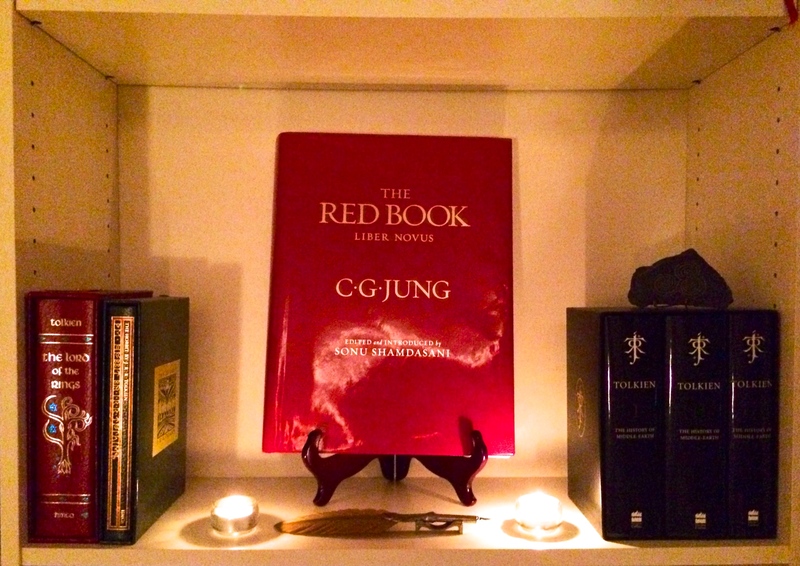 This semester I am undertaking an independent study in which I will be exploring The Red Book of Carl Gustav Jung and bringing it into dialogue with what J.R.R. Tolkien called The Red Book of Westmarch, the fictional narrative that became the key books of his Middle-Earth legendarium, The Hobbit and The Lord of the Rings. 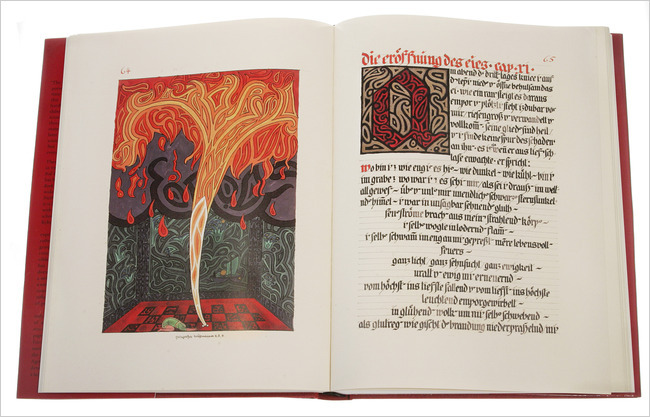 Jung’s Red Book period began in 1913, the same year that Tolkien began his own practice of active imagination in his illustrated book entitled The Book of Ishness. Using additional material from both Jung and Tolkien, as well as contemporary secondary sources, in conjunction with some of the insight provided by archetypal astrology, I will explore the similarities (and significant differences) between what was emerging through both of these men’s creative imaginations. I will be culminating the independent study with a paper that I will post on this website, and with a PCC Forum lecture that will be filmed and also posted. If anyone has source material or other recommendations for this project I would greatly appreciate the feedback!